The East Oakland-raised rapper will preside over the episode's opening "quickfire challenge." 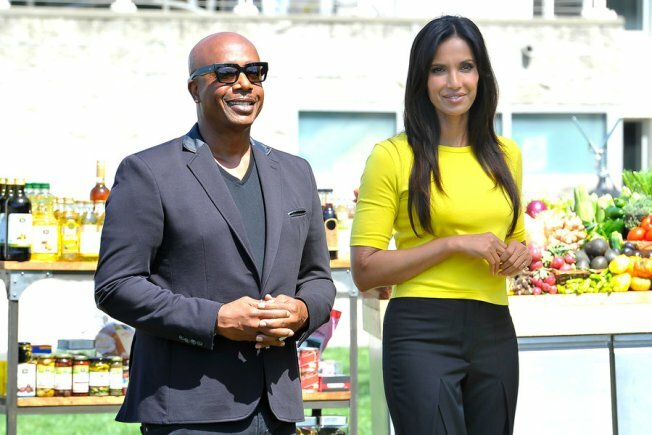 MC Hammer meets "Top Chef" contestants with host Padma Lakshmi in Jack London Square. Thursday night's episode of "Top Chef" was shot in Oakland and features MC Hammer as a guest judge. The 13th season of Bravo's cooking competition has been shot in various California locales. Oakland is home to two restaurants from former "Top Chef" competitors: Shakewell, from Season 4 alum Jen Biesty and "Top Chef Just Desserts" competitor Tim Nugent, and Juhu Beach Club, from Season 6 contestant Preeti Mistry. Hammer, who got his nickname back when he was an Oakland A's batboy due to his resemblance to slugger "Hammerin'" Hank Aaron, is himself a Cooking Channel star and presides over the episode's opening "quickfire challenge," which competitors learn when they meet him and host Padma Lakshmi in Jack London Square. Bravo is a property of NBC Universal, which is the parent company of NBC Bay Area.